The ARRIS C4c is a great replacement for any DOCSIS® 2.0 CMTS that cannot be upgraded to DOCSIS® 3.0. The C4c is a compact DOCSIS 3.0 CMTS that builds on ARRIS’ success with its largest C4 model. You’re able to deploy true DOCSIS 3.0 capabilities in small- and medium-sized headends, where space and power tend to be limited. 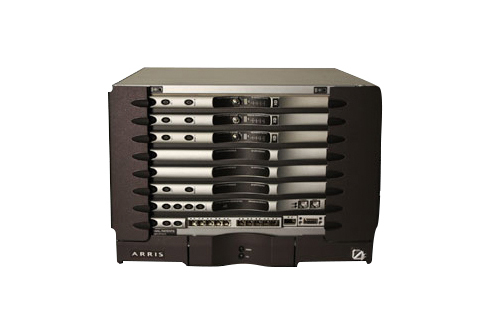 Worldwide Supply offers new and refurbished ARRIS C4c units to best fit your budget. Even the used ARRIS C4c models are capable of supporting DOCSIS 1.1, 2.0, and 3.0, as well as advanced PocketCable features, which further improve your ability to generate revenue and limit cost. The ARRIS C4c is designed to help providers enable and deploy DOCSIS 3.0 services in small markets, with an eye toward cost-effective distribution. You’re able to expand more and reach farther thanks to high port densities, low power consumption and a small unit footprint. Features of new and used ARRIS C4c models include: DOCSIS 3.0 channel bonding, DOCSIS 3.0 multicast IP video support, advanced routing options such as policy-based deployments and IPv6 support, high-density CAM, allowing greater downstream channels per ARRIS C4c CMTS, upstream classifier capabilities and load-balancing enhancement and deployment options. Worldwide Supply offers a variety of new and refurbished ARRIS C4c compact chassis CMTS to help you expand your network. Or, if you’re upgrading your headend and growing to a larger market, you can sell your used ARRIS C4c back to us to help fund your expansion to larger units, such as the C4. By working with Worldwide Supply, you also get 24×7 remote technical support, international spare and repair services, spare management with next-business-day delivery and support for standard lifetime warranties. Learn more about the ARRIS C4c and our policy on new and used models by expanding the categories below.